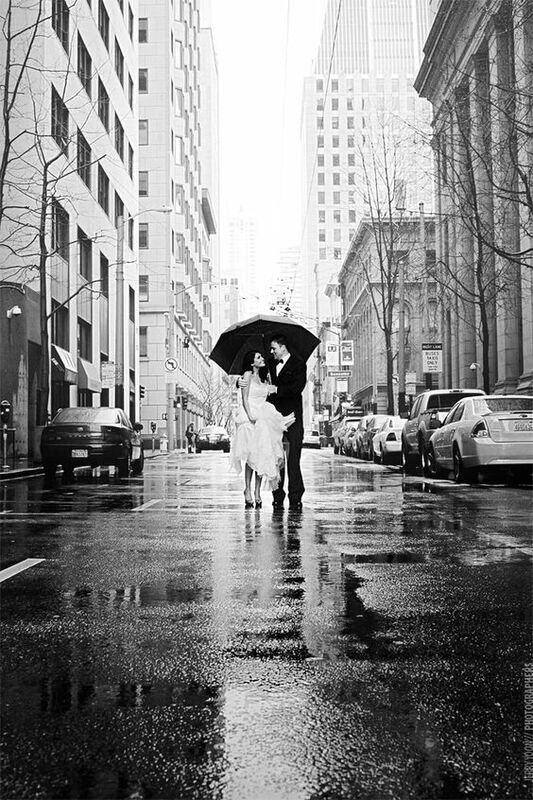 It’s in the back of every bride’s mind: “What if it rains on our wedding day? The day will be ruined, all plans will shift, it won’t be what I have always imagined” and so on. Relax. Even if you picked the sunniest of sunny locales, there’s still always a chance of precipitation. Example? 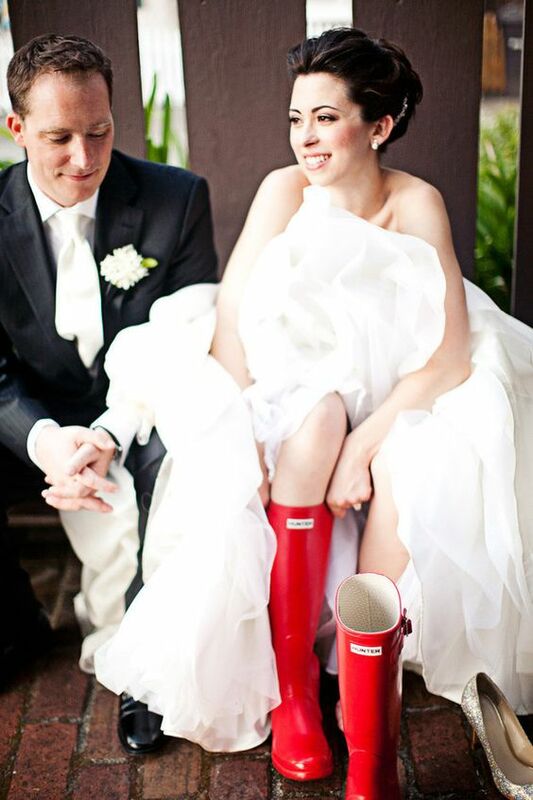 I got married in Mexico in December, where there was the lowest possibility of storms imaginable. We planned an entirely outdoor event under cabanas on the beach, with pictures, dinner and dancing all set to take place outside. 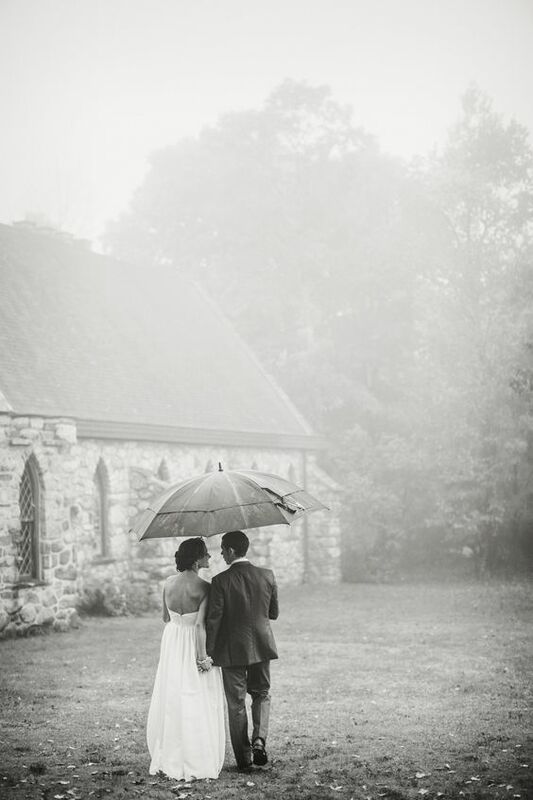 Come the day of the wedding, gray clouds loomed over the beach, and at 1 p.m. (with a start time of 5 p.m.), I was waffling with my mom and wedding planner about what to do. I decided to stick to our original plan and hope for the best. “If it rains, it rains,” I told myself. And sure enough, the clouds parted and spared our outdoor soiree. DON’T DO WHAT I DID and wait until the last minute to ambush your already overwhelmed and emotional self with decisions. 1. 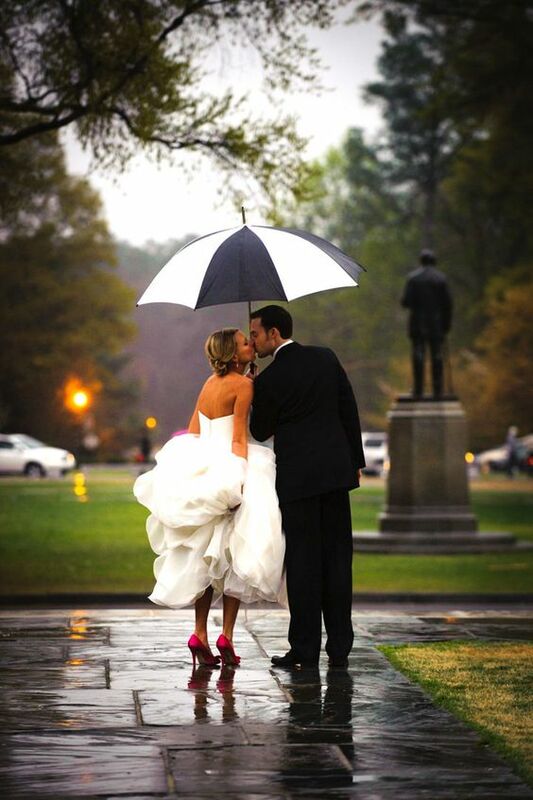 MAKE A RAIN PLAN: As soon as you settle on your venue, discuss the rain game plan in length with the wedding planner and vendors. 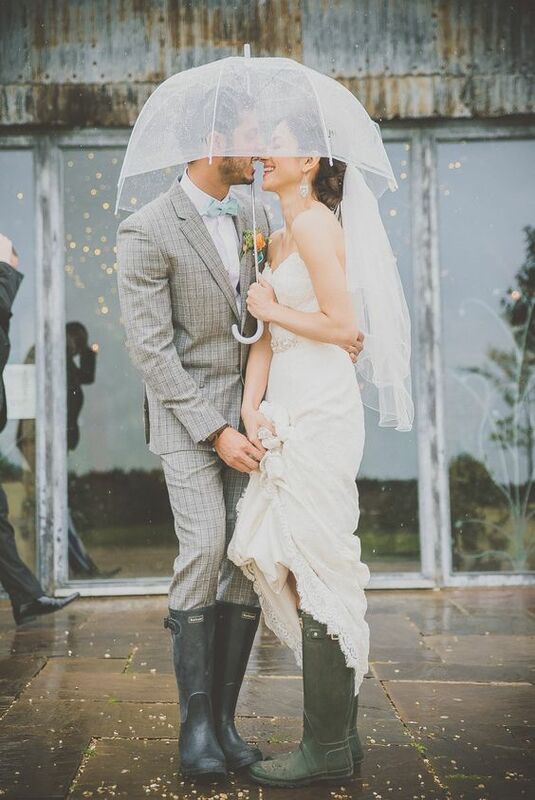 Decide on a tent, alternate on-site location, etc. Don’t leave any details left undiscussed! 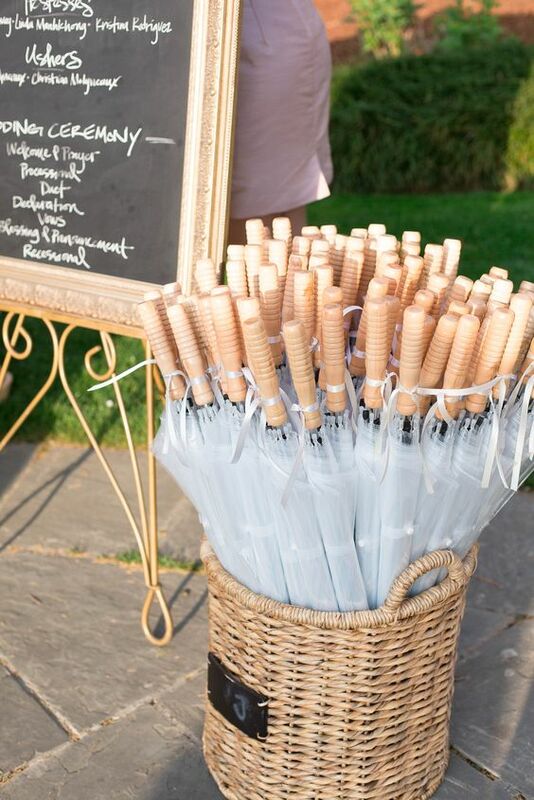 This ensures there will be no surprises on your wedding day, even if it’s your plan b. 2. 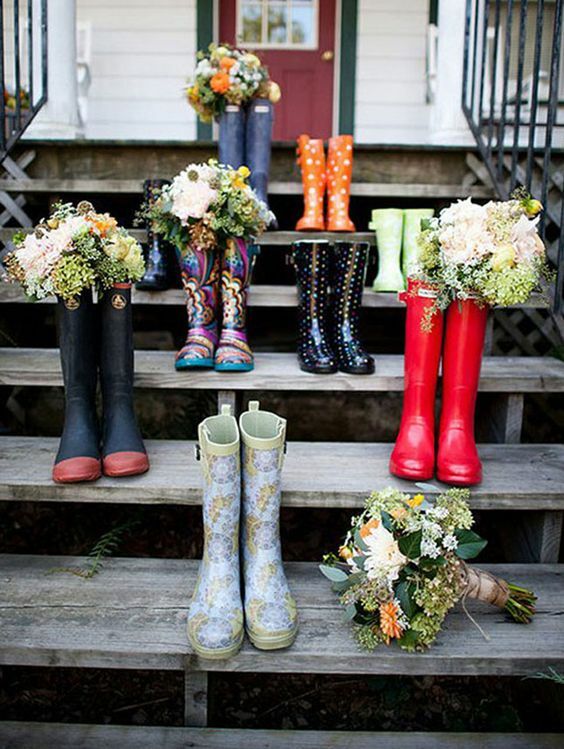 RAINY ACCESSORIES: Grab some inexpensive matching umbrellas and rain boots for the bridal party so you’re prepared for wet weather in style. 3. 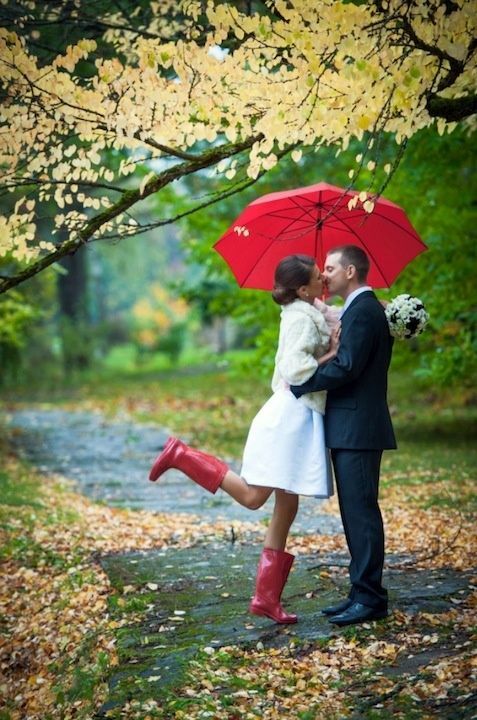 TRUST THE PROFESSIONALS: Once your rain plan is put in place, trust the experts and relinquish control. They know what they’re doing, and it’ll be fabulous — we promise! 4. KEEP AN UP-DO ON THE BACK BURNER: We all know rainy, damp days = flat, scraggly hair. If you’re planning on wearing your hair down or half-down, it might be a good idea to have already tested and approved an up-do alternative with your stylist.